At SVO, we are big fans of chefs and food bloggers. We are SUCH big fans, that we started partnering with some of our very favorites to create recipes for our customers that are delicious, healthy, and easy for your family. Chef Michael Symon cooks with soul. Growing up in a Greek and Sicilian family, the Cleveland native creates boldly flavored, deeply satisfying dishes at his restaurants in America’s heartland: Lola, Mabel’s BBQ, Roast, Bar Symon and B Spot Burgers. He also shares his exuberant, approachable cooking style and infectious laugh with viewers as an Iron Chef on the Food Network, host of Burgers, Brew & ‘Que on Cooking Channel and formerly as co-host on ABC’s The Chew. Michael has appeared on several Food Network shows and is the author of four best-selling cookbooks. Lexi is originally from Long Island, NY and now resides just outside of Boston, MA with her husband Mike, and their golden retriever, Jax. "I love creating recipes that you find success with in your own kitchen, and I love working on improving our healthy lifestyles, together. 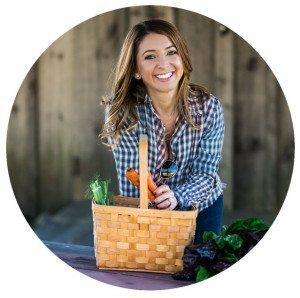 I decided to start blogging to share my clean, healthy, and allergy-friendly recipes to inspire others that living a healthy lifestyle can in fact be fun and exciting, and never has to be boring. I develop my recipes with the ultimate goal being to help others achieve a balanced lifestyle, full of whole foods and free of limitations!" Brooklyn Supper was started by married couple Elizabeth Stark and Brian Campbell in 2008. "Eating seasonally can seem fussy or fancy, but it needn’t be. Seasonal eating simply means trying to get more of your food from the people who grow or produce it when it’s at its best. It’s about knowing where the stuff you eat comes from and being a part of your local food community. Here on BkS, we share fancy food sometimes, but mostly, we want to make simple, straightforward recipes for home cooks at all levels. It’s our mission to help readers to better understand the season and how ingredients can change throughout.". Table for Two is a Washington, D.C.-based food and travel blog. Julie Wampler is on a mission to simplify the relationship between food & busy lifestyles. "I strive to inspire you with real recipes for real life that are always deliciously easy, innovative, and approachable that your whole family will love! I believe that you can always find time to make a homemade meal and I’m here to help you!" Andie Mitchell is a writer, healthy recipe developer, New York Times bestselling author, and sometimes public speaker who believes in balancing health and happiness. "When I lost weight, I started cooking, remaking the foods I had always loved in lighter, more wholesome ways, and slowly, I started to feel like I was transitioning from a diet to a life. I started to work through my relationship with food and emotional eating, learning how to weave in some indulgences here and there to keep me happy. And over time, the more I practiced, the more I was able to achieve that mystical “balance” I’d always heard about." Rebecca Lindamood is a freelance food writer, recipe developer, cooking teacher, mother of five perpetually hungry boys, and wife to her biggest culinary fan. "I like to think of Foodie with Family as an homage to all things food, family, and travel related—because friends—I love food. All of it. Fancy, humble, simple, complicated, and everything in between. I love cooking from scratch and I love sharing recipes that work for our family."